Quick note – This is a post that is similar in nature to the White Paper about linking Projects found here. 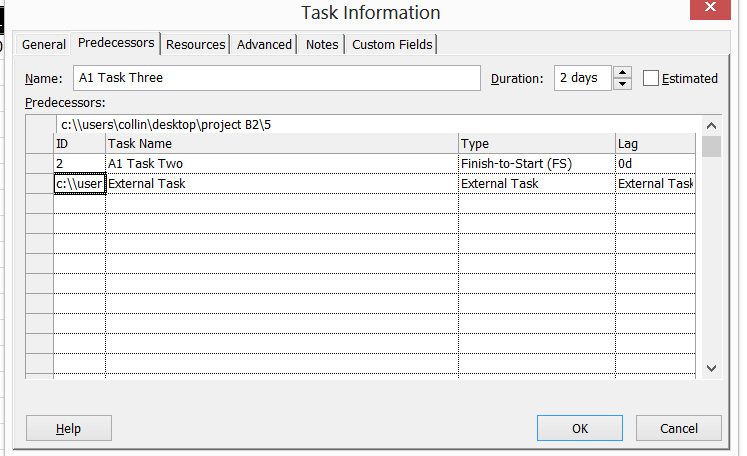 This is about the occasional need to link two (or more) schedules using Project 2010 stand-alone. When using Project Server 2010 the syntax is slightly different and the white paper outlines how to do that. This article explains how to link two projects without creating a Master Schedule and it demonstrates a small bug in Project and the correct syntax to use to create the link.